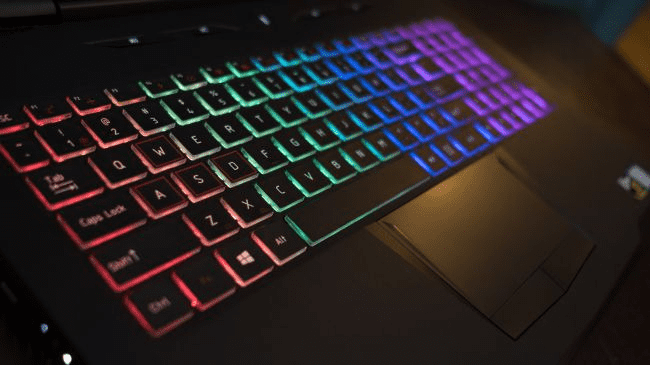 A SOLID ALL-ROUNDER THAT REALLY SHARPENS THE POINTY-END OF THE GAMING LAPTOP MARKET. 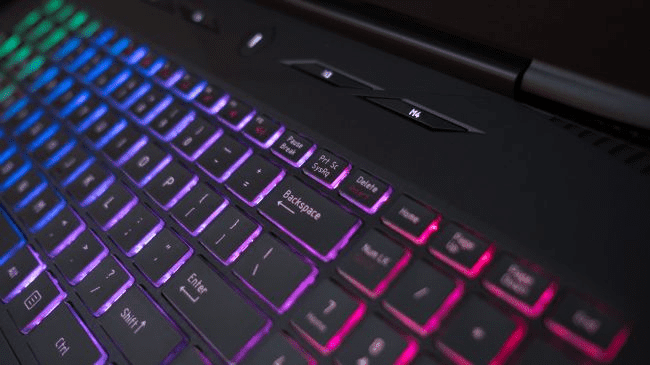 WHEN IT COMES to affordable gaming laptops, there’s an expectation that you’ll settle for less-premium chassis materials, make a sacrifice in the overall design aesthetic and get generally bulkier and lower-end components. 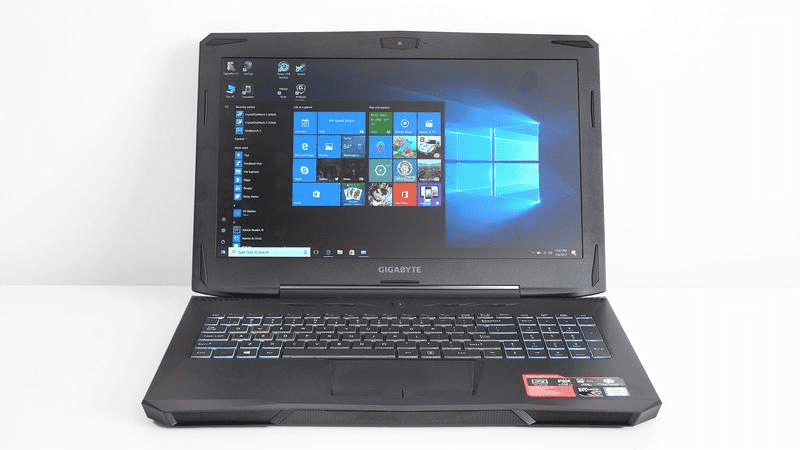 We were fond of Gigabyte’s Sabre 15 when we tested it a few months back, as it managed to undercut competitors at this end of the market with minimal sacrifices. But when you go below the $2,000 mark, all those above shortcomings are pretty much a given — and as good as the Sabre was, it did entail a lot of sacrifices. 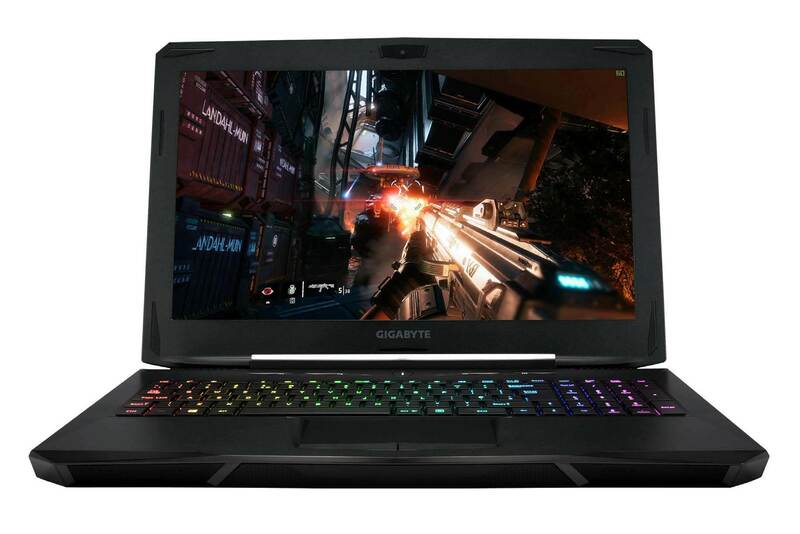 So, naturally, when we got a glimpse of the new SabrePro 15 at this year’s Computex, we weren’t sure whether the professional portmanteau was purely nominal or whether the upgrade would bump up the price and encroach on Gigabyte’s performance-focused P-series laptop range. Either way, we didn’t suspect it’d be a particular standout. But here, Gigabyte has managed to take the best bits of its cheaper Sabre design and figuratively dip them in gold — well… slick black aluminium. Underneath its subtly accented, stylishly vented and crafted brushed-aluminium chassis, the SabrePro 15 offers up a pleasingly deepfeeling, full-sized keyboard with 2mm travel distance scissor-switch keys. The good-looking but commonplace 15.6-inch 1080p IPS screen is underpinned by an Intel Core i7-7700HQ CPU, 16GB of DDR4 RAM and a combined total of around 2.25TB storage space. While the first two components here perform predictably well, marching out a solid score of 4,845 on PCMark 8’s Home benchmark, the 2TB HDD is a bit of an unexpected bonus — it’s double the size of what you’d expect at this price, and it’s paired with a 256GB Samsung PCIe SSD (where Windows 10 is installed) that cranks out impressive sequential read speeds of 1,705MB/s and will push belligerently-fast boot times. While the earlier Sabre 15 featured a somewhat conservative GeForce GTX 1050 Ti GPU, the SabrePro 15 bumps this up to the VR-ready 6GB GeForce GTX 1060. In terms of raw 3DMark benchmark scores, this equates to a 25–45% boost, depending on the test, which was consistent with our real-world benchmarks on BioShock Infinite, The Division, Far Cry Primal and Metro: Last Light, where the 1060 outperformed the 1050 Ti by 28–55%. For broader reference, the SabrePro 15’s GTX 1060 GPU is still outpaced by higher-performance parts like the GTX 1070, as seen in Gigabyte’s P57X v6; in Batman: Arkham Knightand Tomb Raider, the 1060 offers up 1080p Ultra scores of 71 and 156fps compared to the 1070’s 113 and 213fps. This less-power-hungry GPU does allow the 56Wh battery to last around 2 hours in PCMark 8’s demanding battery benchmark, though, which is a passable result. While its 2.5kg body is a bit heavy, it’s still light enough to cart about. The core components have been carefully considered and it comes in at hundreds of dollars under anything we’ve seen with comparable specs.